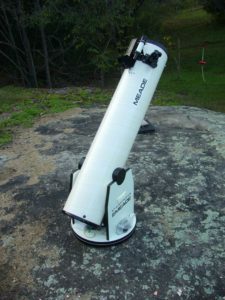 Scope includes 5x24mm finder and Telrad. Great balance between simplicity, weight and aperture. Includes 40mm, 25mm and 9mm eyepieces. Stored by/Loaned to: James S.